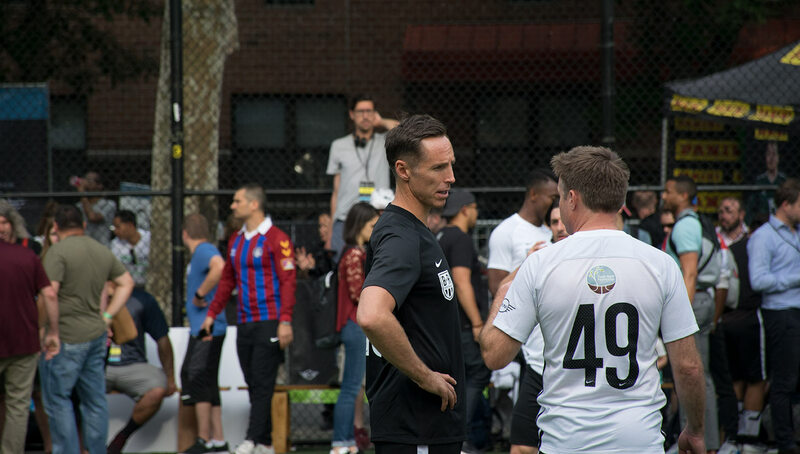 In its 11th year, the Steve Nash Foundation Showdown proved yet again to be a jam-packed event filled with celebrities partaking in the beautiful game for a good cause. 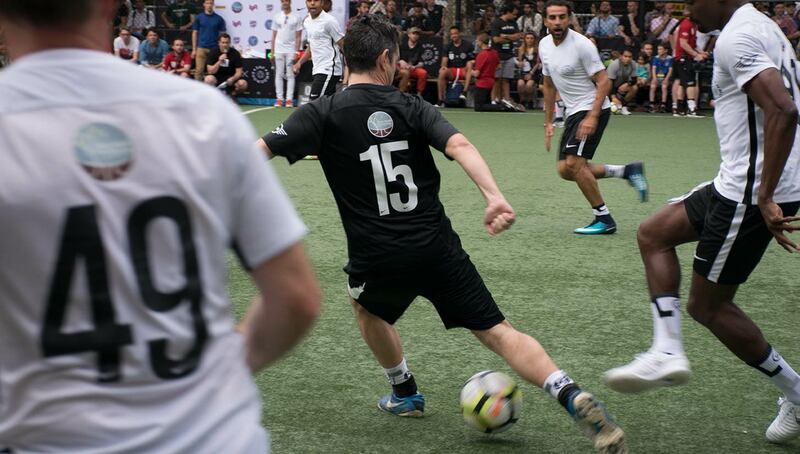 Featuring current and former football stars and NBA players alike, the charity match and surrounding festivities benefited the foundation’s mission to serve underprivileged children across the globe. 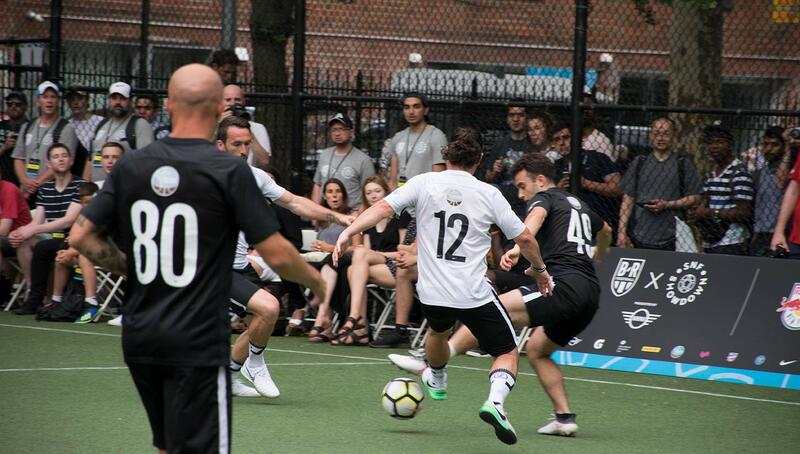 It was a hot and muggy summer day in New York City, but that didn’t prevent celebrities and a crowd of thousands to make it out to the 11th annual Steve Nash Foundation Showdown. 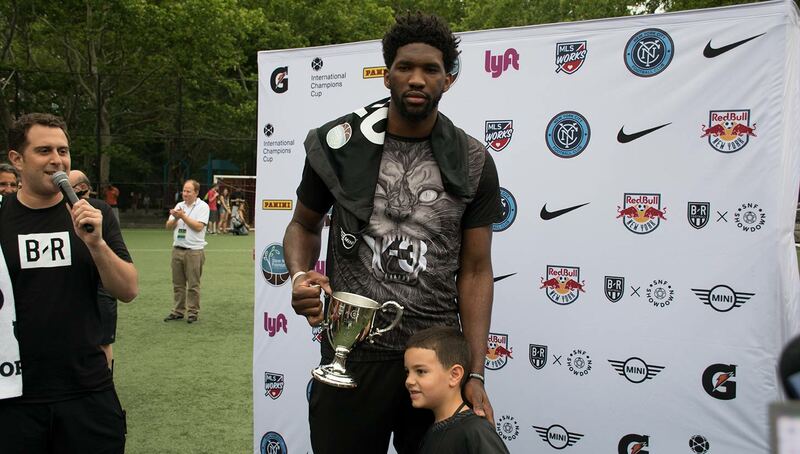 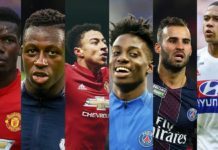 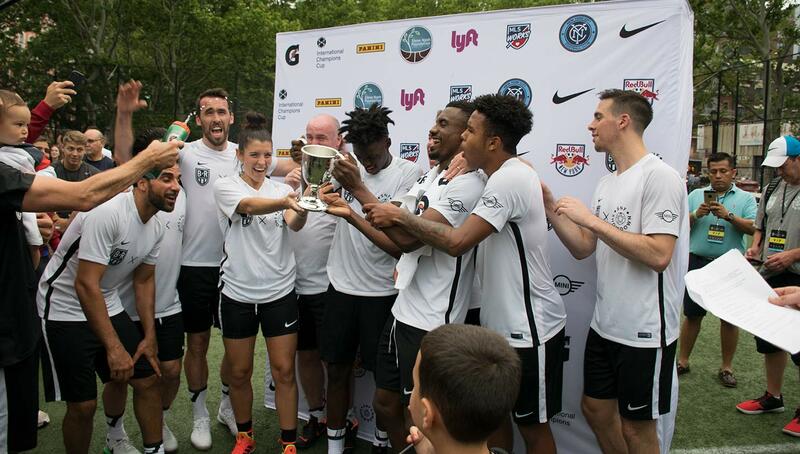 The seven-a-side match featured international and domestic footballers including Timothy Weah, Giuseppe Rossi, and Christian Fuchs, along with NBA stars including Joel Embiid, D’Angelo Russell, and CJ McCollum. 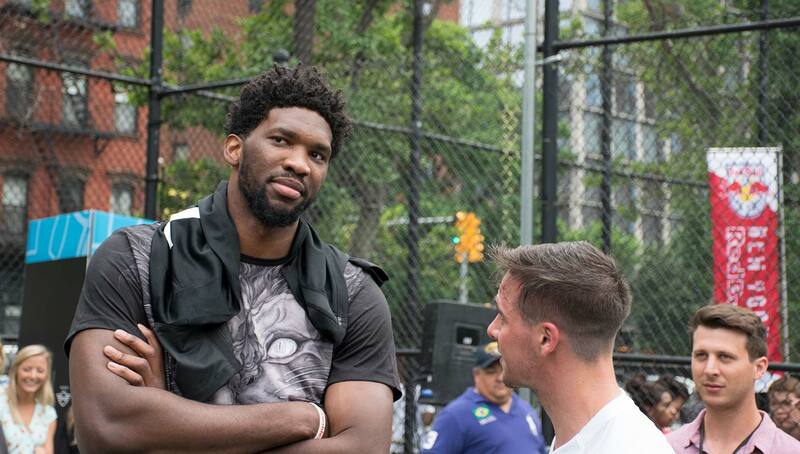 Embiid, a noted football fan and documented Madridista, didn’t partake in the match, but provided support and typical banter from the sidelines. 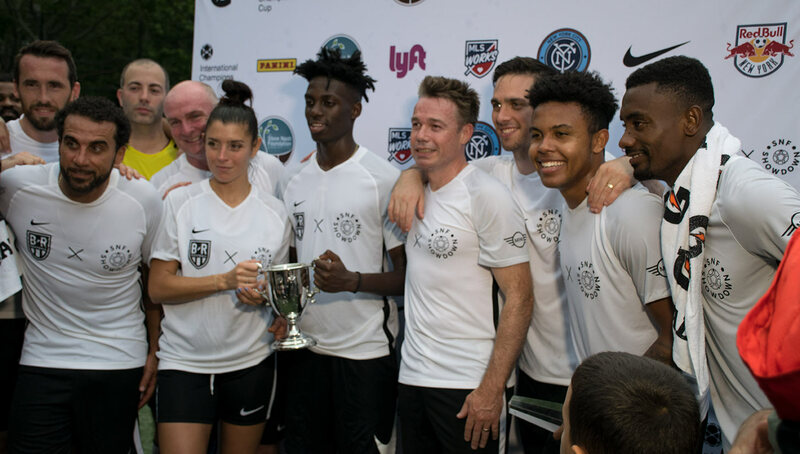 While Nash’s Team Black lost to Team White led by Weah and surprise star TJ McConnell (who hadn’t played football since middle school), Nash was in high spirits throughout the day — after all it was benefiting his foundation that does so much work for underserved children and communities all around the world. 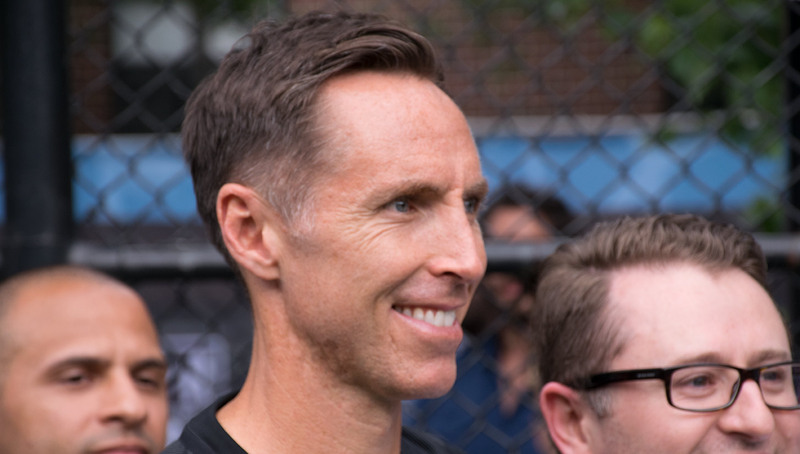 Nash, humble as he always is, made sure to thank everyone that made the event possible, including his celebrity friends and guests that made up both teams. 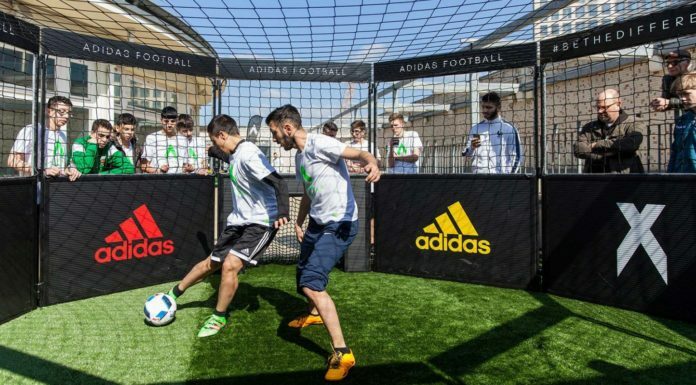 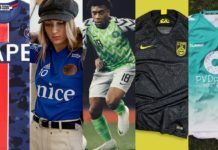 The event only played more into the current football fever that has swept the globe, and it perhaps distracted fans in attendance from the glaring absence of the U.S. in the ongoing World Cup. 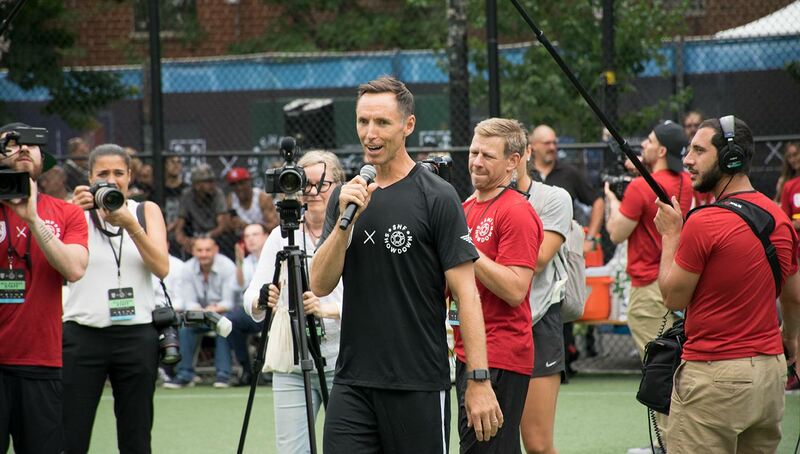 With Nash’s native Canada also missing the cut, the two-time NBA MVP gave his thoughts on who he was rooting for in this summer’s games. 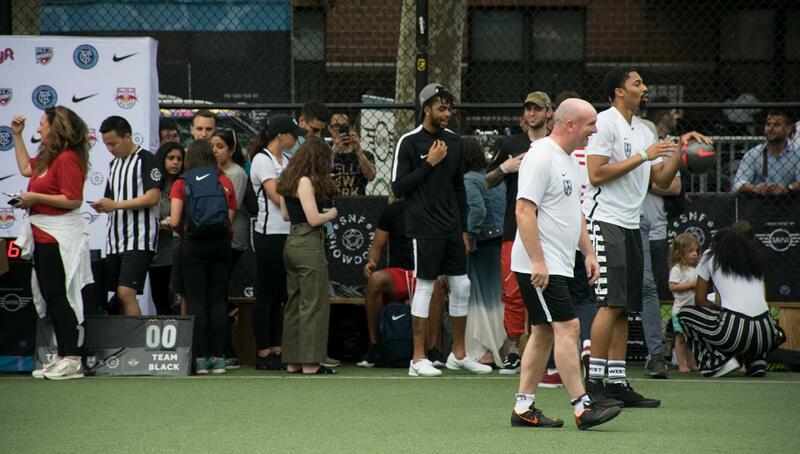 The future surely will be bright so long as Nash and his foundation continue to put together this event in the same manner for more years to come. 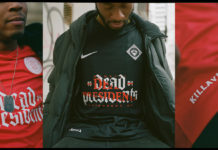 Now 11 years deep, the Showdown shows no sign of slowing down. 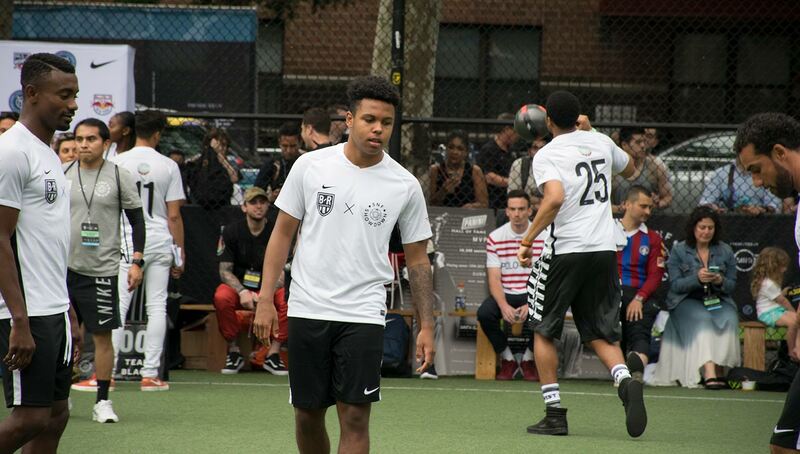 Photography by Hugo Morel for Urban Pitch.